I saw this great photo from a good friend of mine, and also share it with you for good. 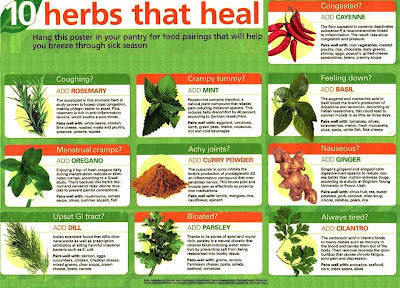 This is an amazing poster that shows how you can benefit from different natural herbs when you have different health issues. More interestingly, you can see how to pair them with other foods to increase their effect. 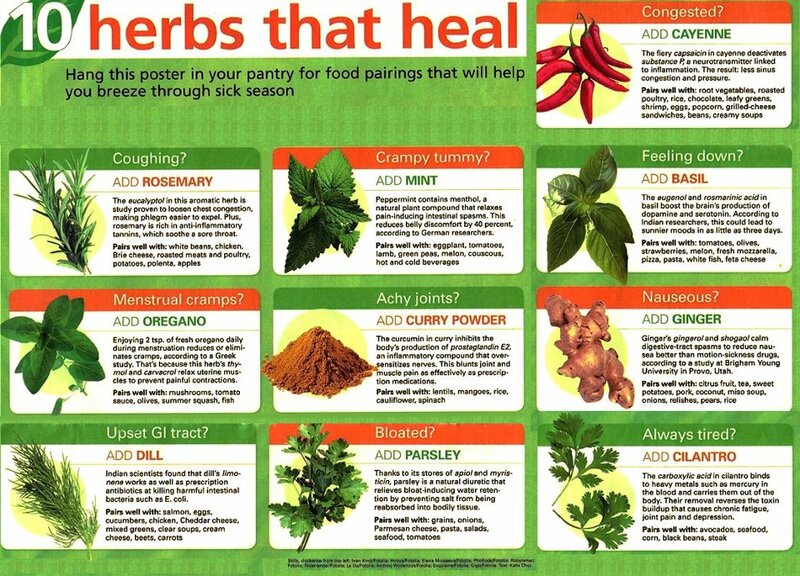 Most of these herbs have been used for centuries in ancient medicines and proven to be effective. Barley grass - Nutrients found in barley leaves are vitamins, minerals, amino acids, protein, active enzymes, chlorophyll, phytonutrients and phytochemicals. It is recognize by science as the most complete food. and also research shown that the green leaves of of young barley plant contain the most prolific balance supply of nutrients that exist on earth in a "single source"